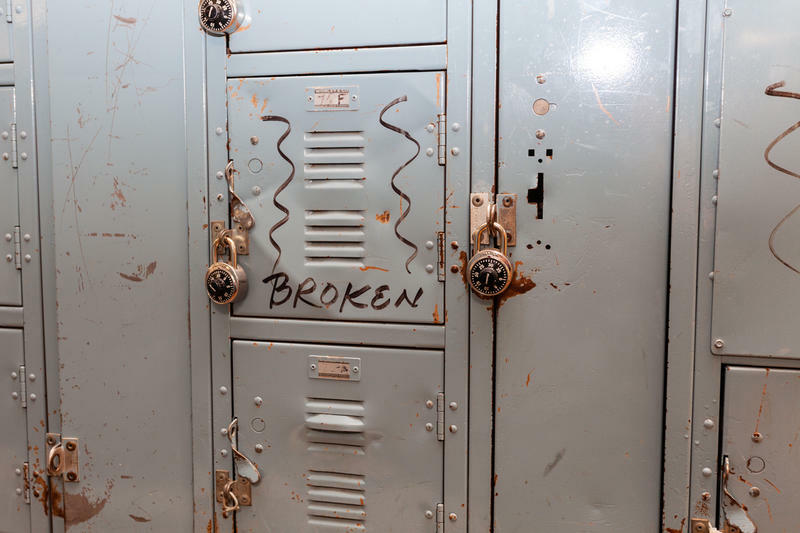 A broken gym locker at Seaside High School. Damage to walls of mobile classroom at Seaside High School. As of six months ago, this classroom can no longer be used. 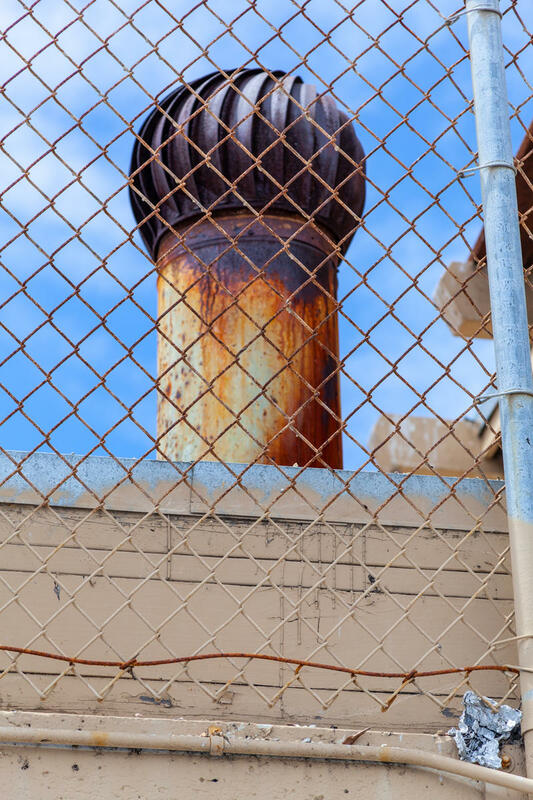 A rusting vent on top of Seaside High School. 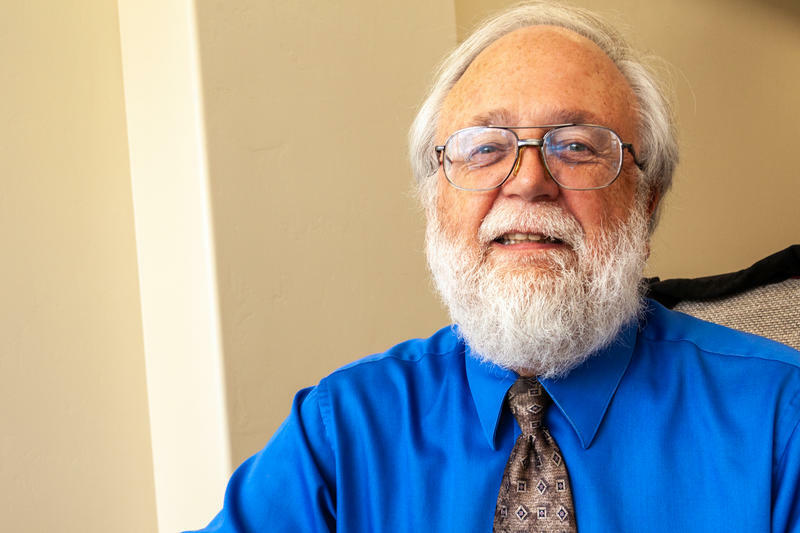 Lawrence Samuels, chairman of the Monterey County Libertarian Party, wrote the opposition statement to Measure I.
P.K. Diffenbaugh, Superintendent of Monterey Peninsula Unified School District, says Measure I funds will bring schools into the 21st century. 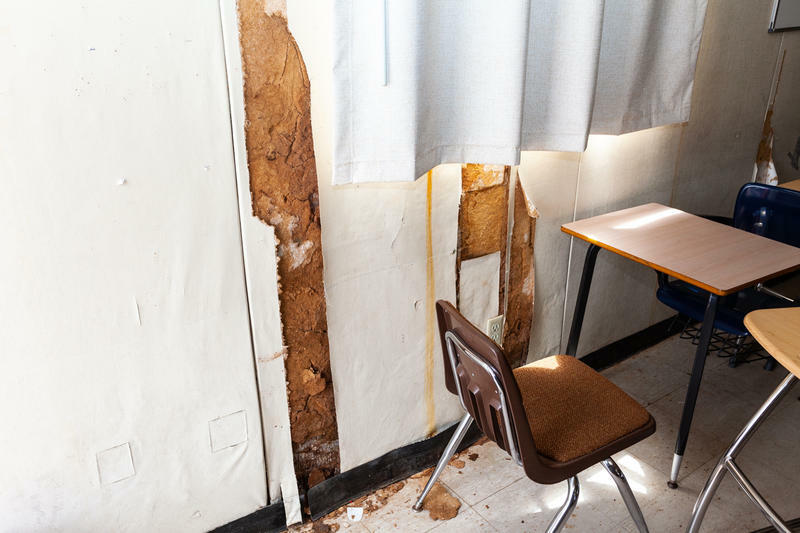 The schools in the Monterey Peninsula Unified School District need more than $200-million for repairs. The school district is asking property owners to pay for it. Voters decide on Tuesday if they want to do that when they vote on Measure I.
Seaside High School is one of the schools in the district. It sits on a hill along Highway 1. It has million-dollar views of the Monterey Bay and millions of dollars in problems. Student desks are scattered throughout the room. Whiteboards hang on the walls. There’s a ceiling mounted projector. All are signs that, despite the structural damage, this classroom was recently in use. Fixing this type of problem is what Measure I is all about. It's a $213-million bond measure that would pay for repairs, reconstruction and upgrades in the Monterey Peninsula Unified School District. The district includes 19 schools in cities of Monterey, Seaside, Marina, Del Rey Oaks and Sand City. It's a district where the newest school was built more than 50 years ago. And Superintendent P.K. Diffenbaugh says it shows. “We still have in most of our classrooms two plugs, one in the front and one in the back. We need to update our electrical. And then there's still some HVAC and plumbing that needs to happen,” says Diffenbaugh. If voters pass Measure I on Tuesday, bonds will be sold and then paid off by increasing the property taxes of the people in the district. The money can only be spent on school repairs and improvements. None will go to administrator or teacher salaries. A citizens’ advisory committee will audit the expenditures to assure that happens. Diffenbaugh says the district needs Measure I because the state only provides it with funding for day to day operations. “They don't give districts a lot of money for facilities. So, it's really up to the local community to invest in their schools,” he says. It works out to be about $200 a year for the average homeowner for the life of the bond. It’s a 30-year loan which means 30 years of interest. And that’s the problem Lawrence Samuels has with Measure I. He’s chair of Monterey County’s Libertarian Party. Samuels wrote the opposition argument to Measure I in the voter pamphlet. He points out that with interest homeowners will wind up paying back significantly more than the 213 million that goes to the schools. “The rest of it goes to mansions and yachts of the wealthy 1 percent. That's why banks love to make loans. They make a fortune,” says Samuels. Samuels says the district should set aside money each year until they have enough to pay for each project instead of borrowing the money. But Diffenbaugh says the State doesn’t allow schools to do that. 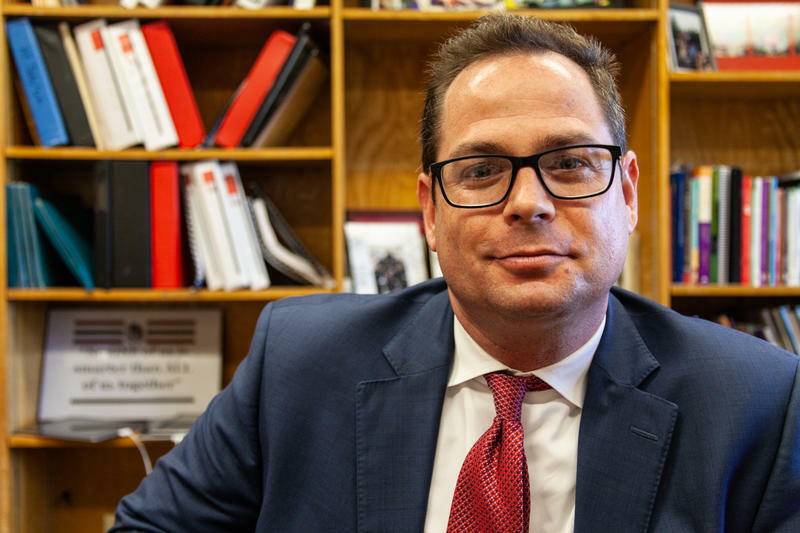 State law prevents districts from setting aside more than a small contingency fund, certainly not enough to pay for the needed major repairs. “Our kids deserve to be in classrooms that reflect the 21st century. We are preparing them for jobs that have not been invented yet. We're preparing them for to solve social problems that we can only imagine in the future,” he says. Voters in the Monterey Peninsula Unified School District will have their say on Tuesday, June 5th. The measure has to receive 55 percent of the votes to pass.